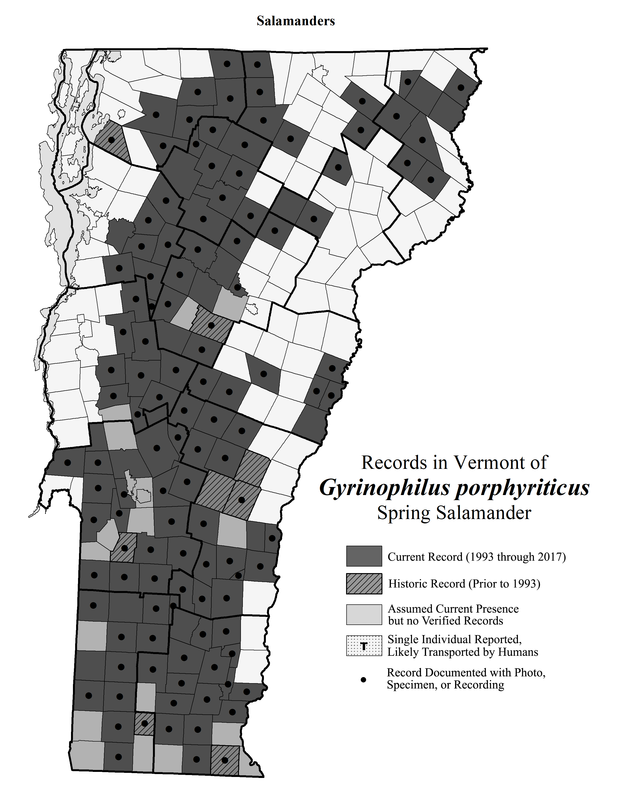 1 Glyptemys insculpta used to be called Clemmys insculpta. 2 Pantherophis alleghaniensis was Elaphe alleghaniensis until 2008. 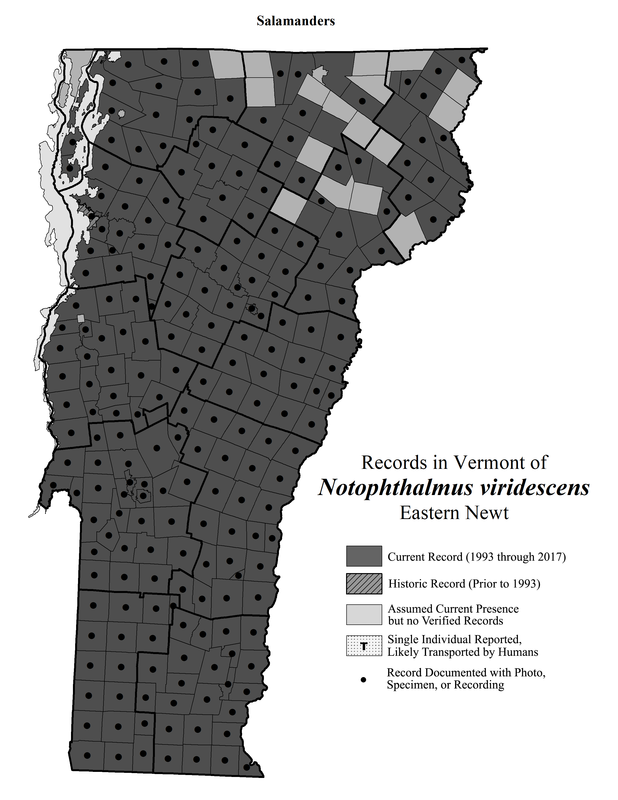 Before changing to Elaphe alleghaniensis, its name was Elaphe obsoleta. 3 Bufo americanus was changed to Anaxyrus americanus in 2008. 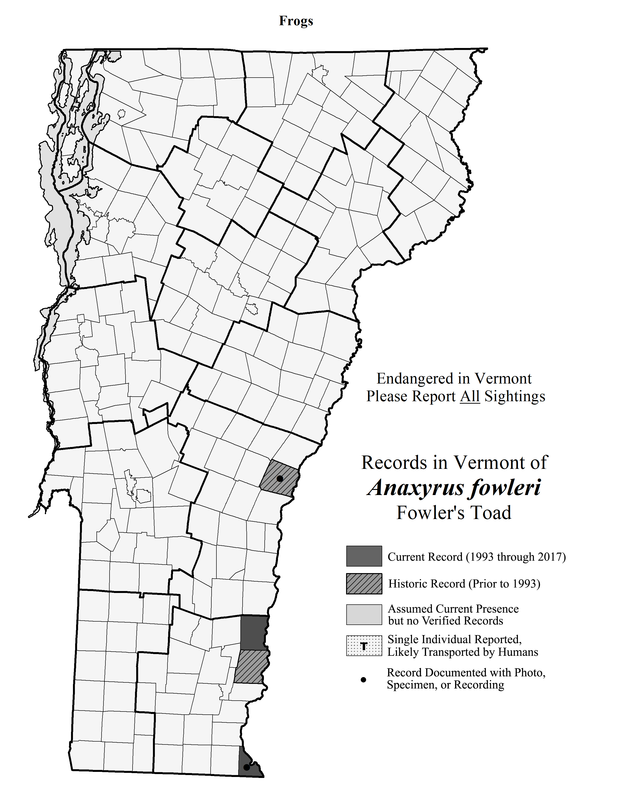 4 Bufo fowleri was changed to Anaxyrus fowleri in 2008. 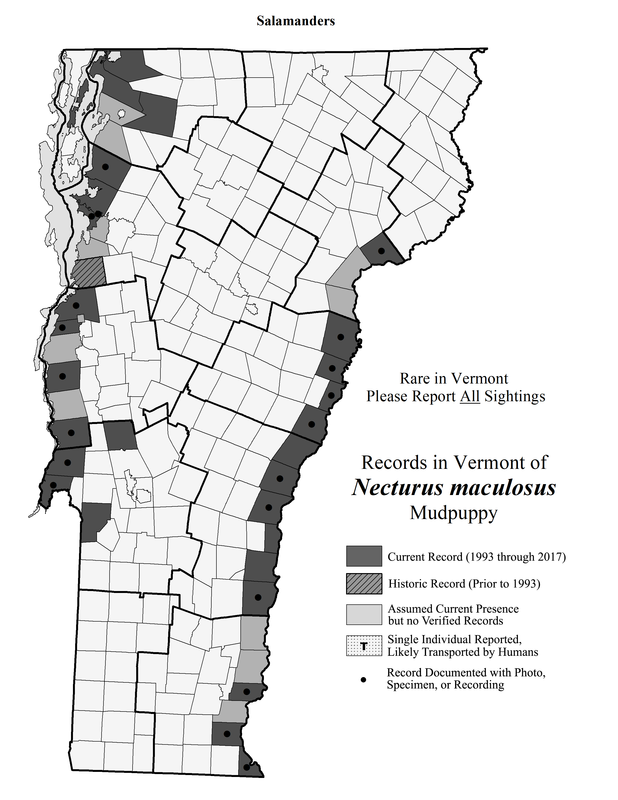 5 Psuedacris maculata (Boreal Chorus Frog) was determined to be Psueudacris triseriata (Western Chorus Frog) in 2007. 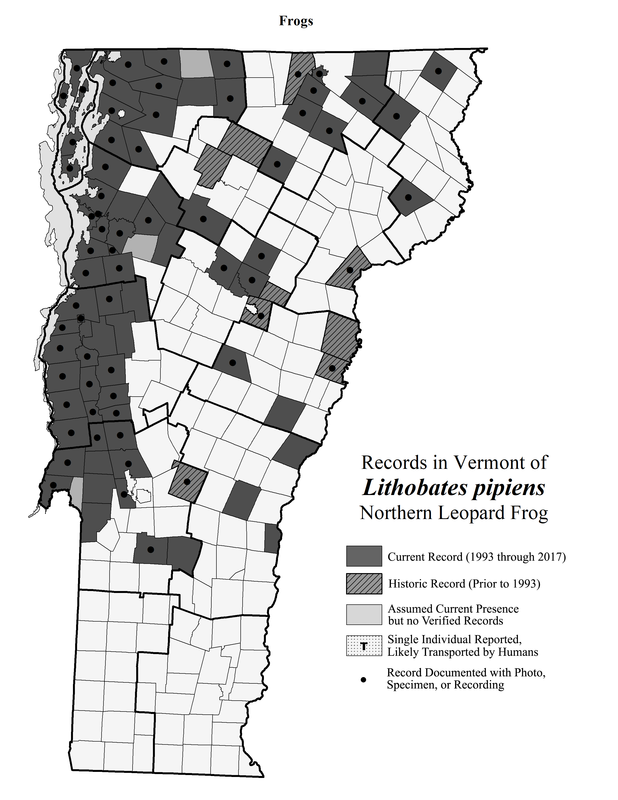 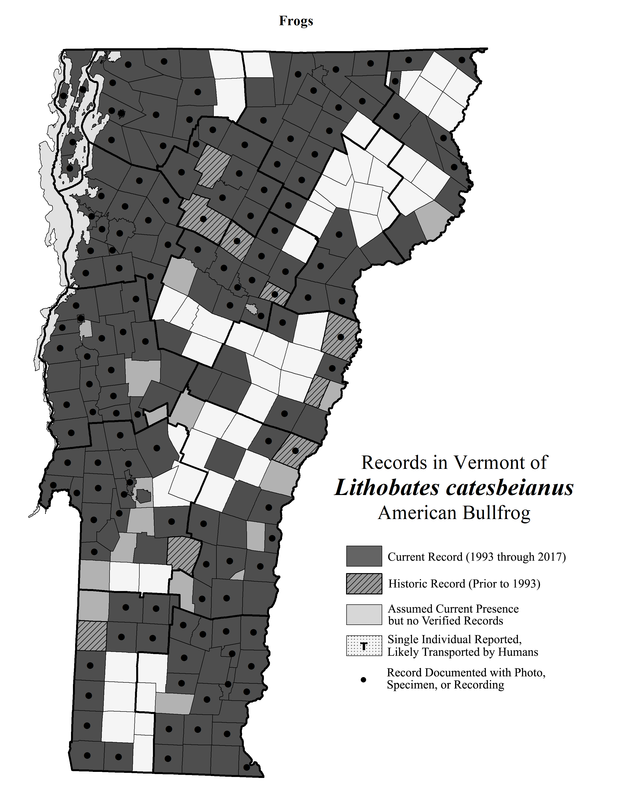 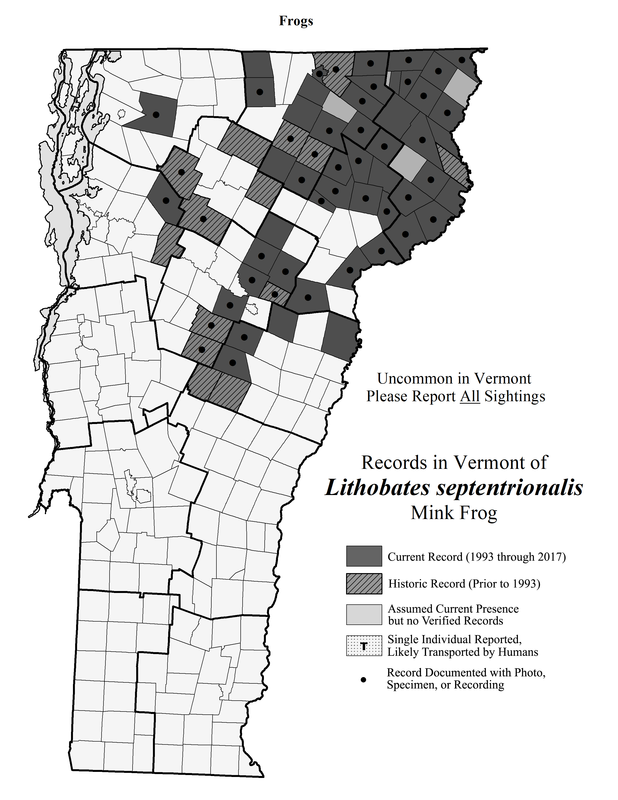 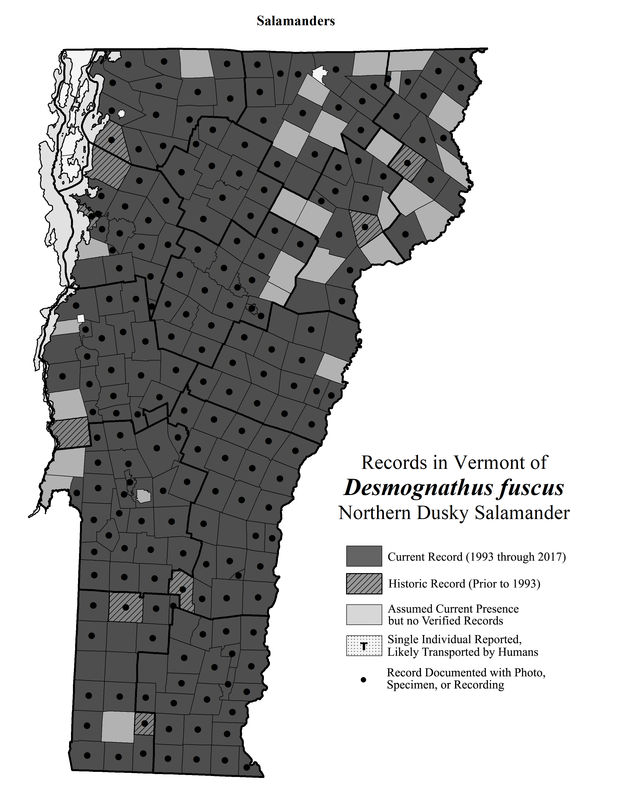 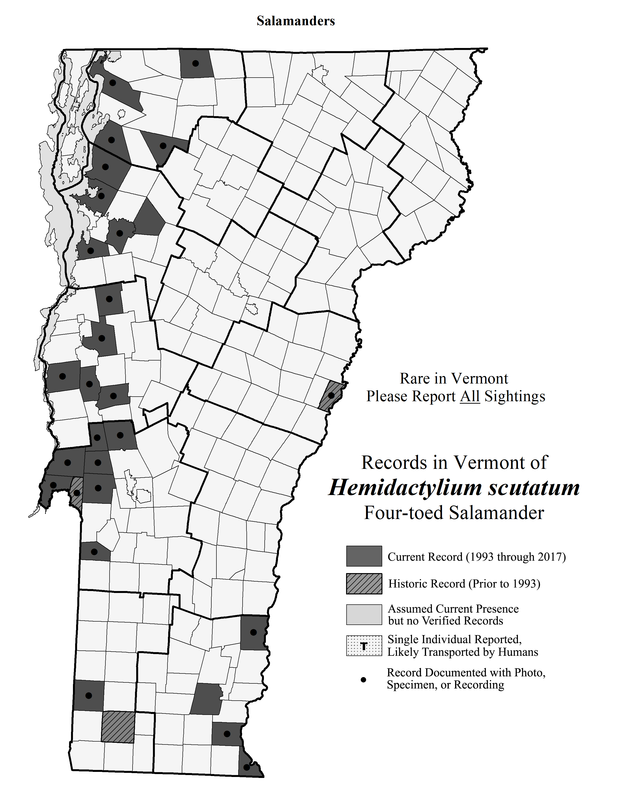 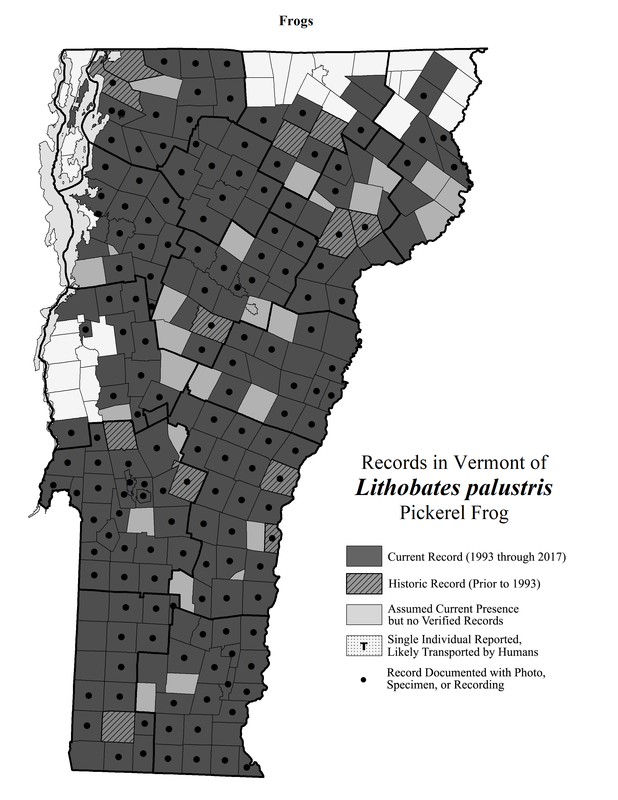 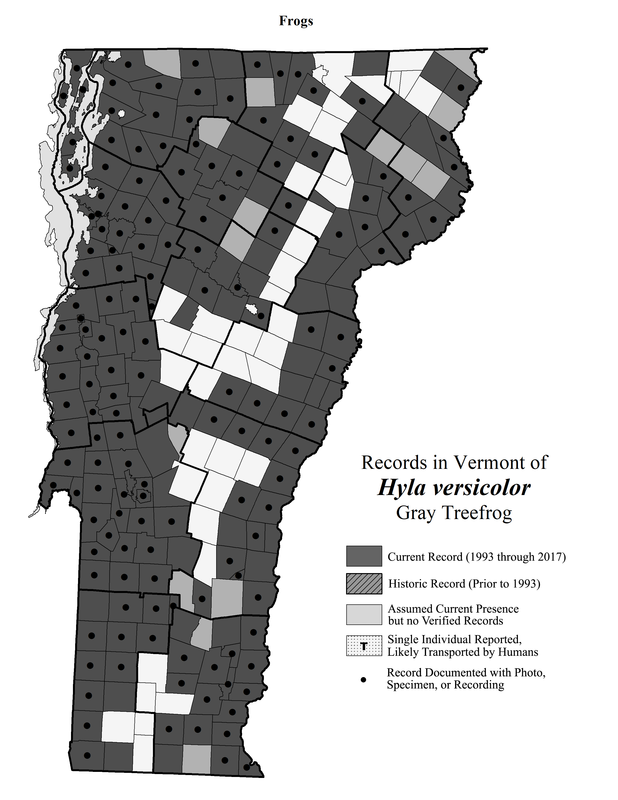 6-11 All the Vermont species listed in the Rana genus were reclassified into the Lithobates genus in 2008. 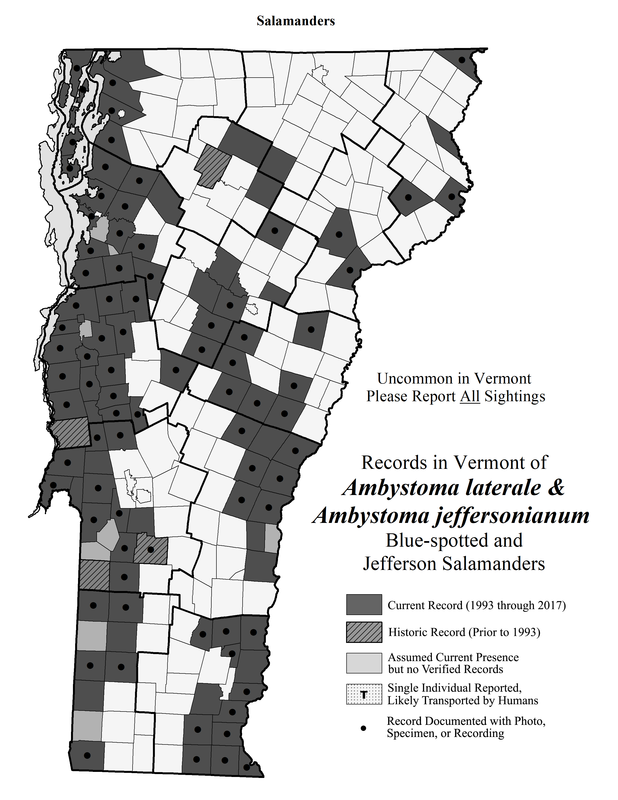 Rana sylvatica became Lithobates sylvaticus. 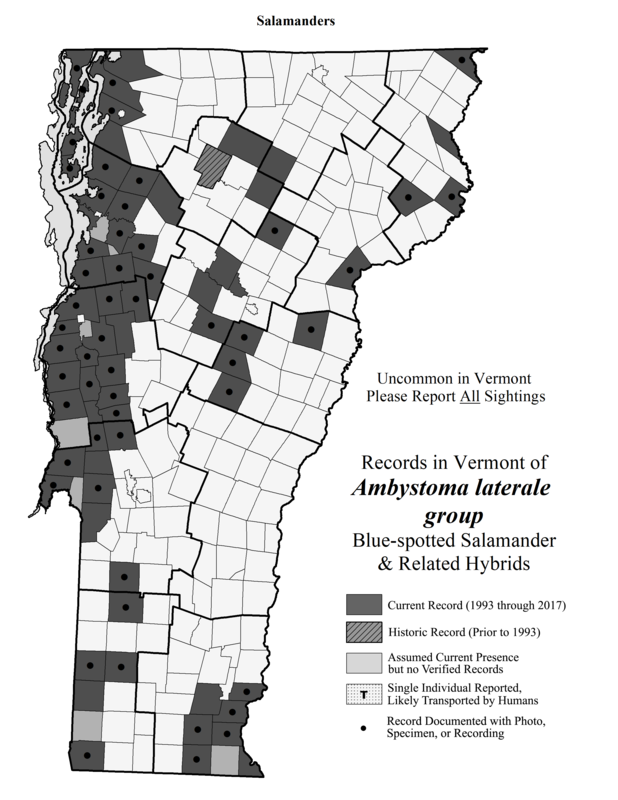 12 The Ring-necked Snake’s state rank was changed from S3 to S4 in December 2013. 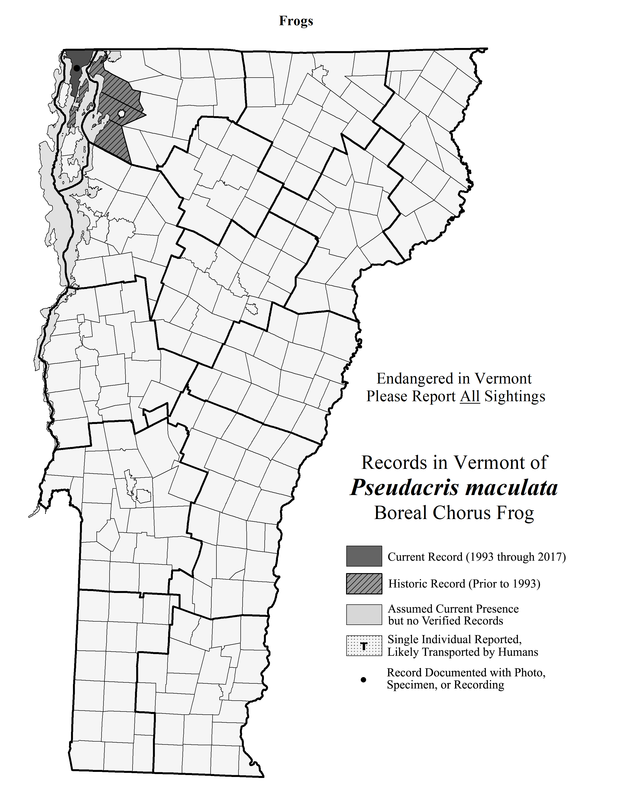 13 Fowler’s Toad was listed as Endangered in 2015. 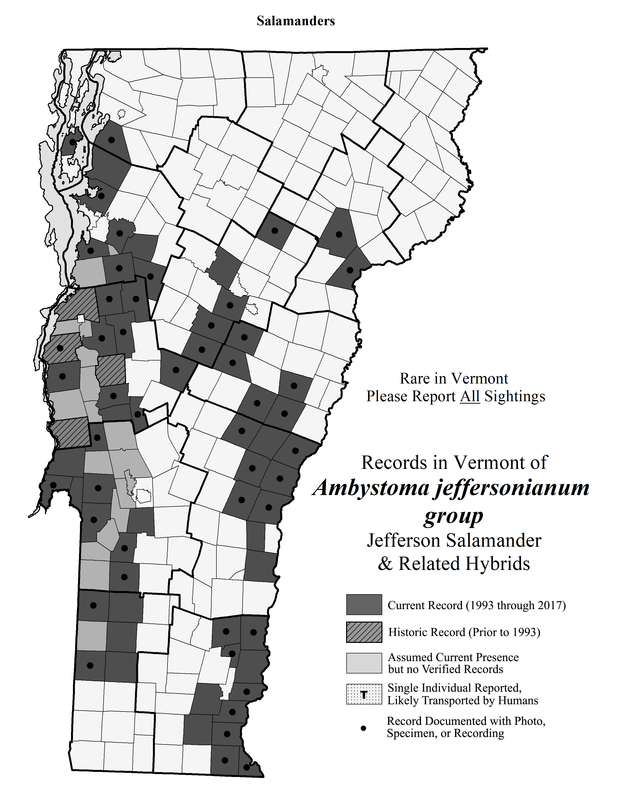 14 Milksnake was renamed Eastern Milksnake in 2017. 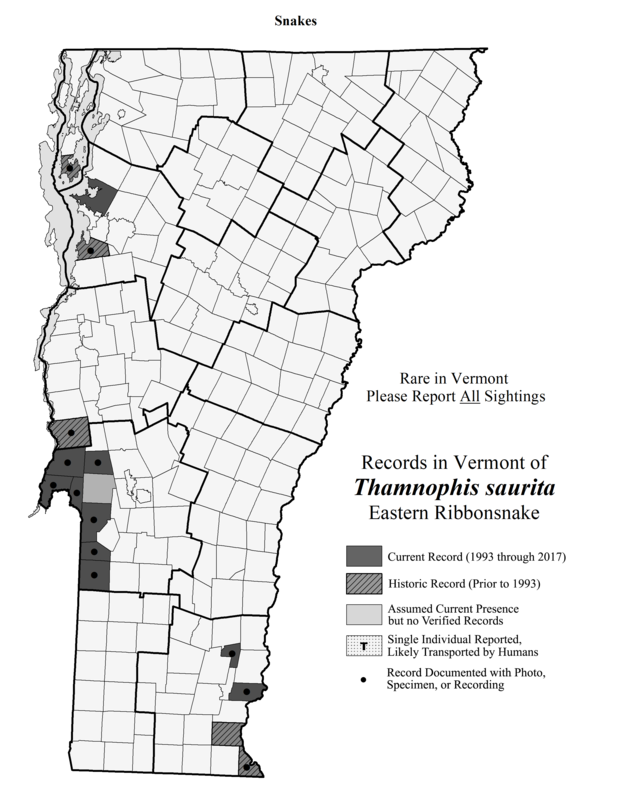 15 The spelling of sauritus was corrected to saurita in 2017.